This is what I face every summer when pupils from various schools in Athens and from around the world come to St Lawrence College in order to improve their English skills and to enjoy a variety of other cognitive and physical activities. This is why LearningChess.net was such a godsend. 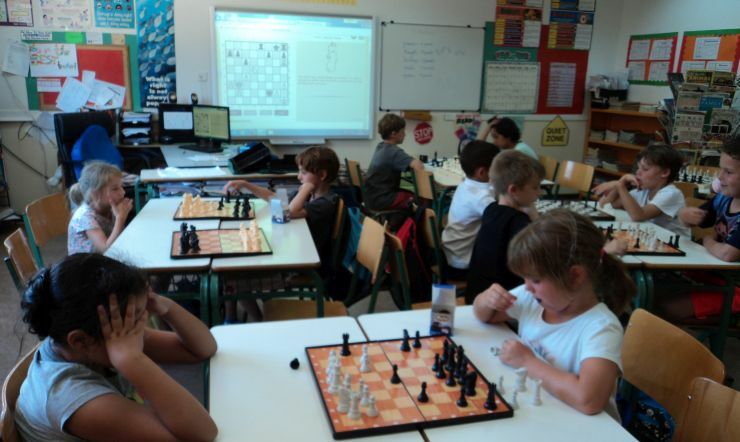 There are well-thought out and wonderfully presented chess activities that children can progress through independently. 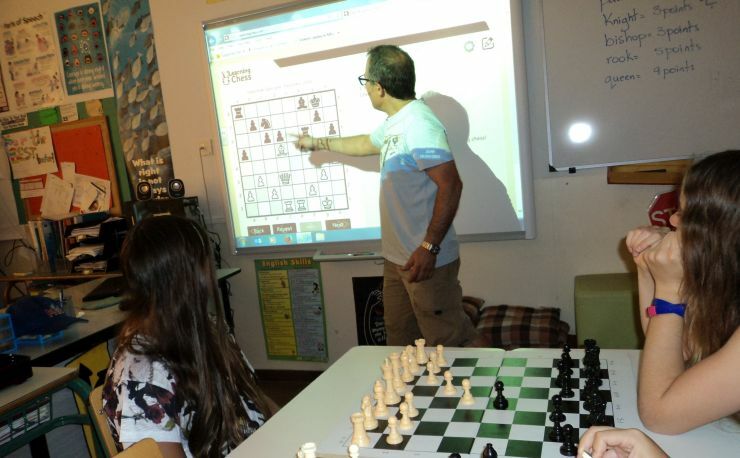 These activities are aimed at developing the chess skills of novices, intermediate players and experts alike. 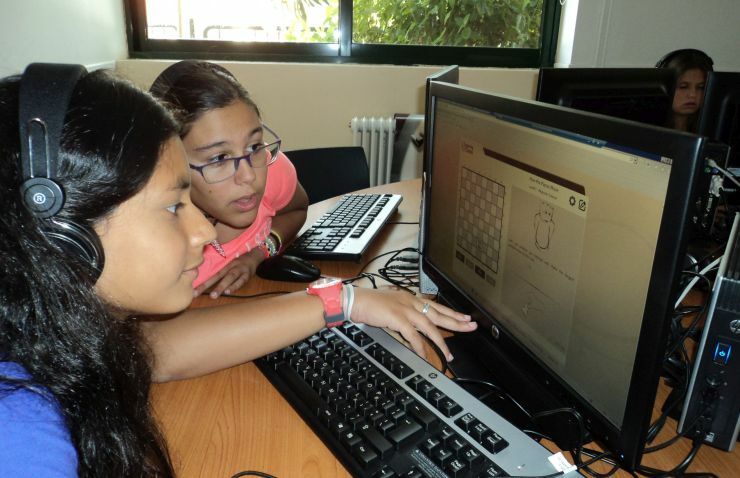 At the same time, I selected activities that I felt would benefit all the pupils in a particular group and with the help of a Smartboard we progressed through these quite successfully. This helped tremendously with younger learners and with pupils who were just learning English and would not have been able to progress through the lessons on their own. It was a pleasure to watch them put into practice what they had learned from the website. 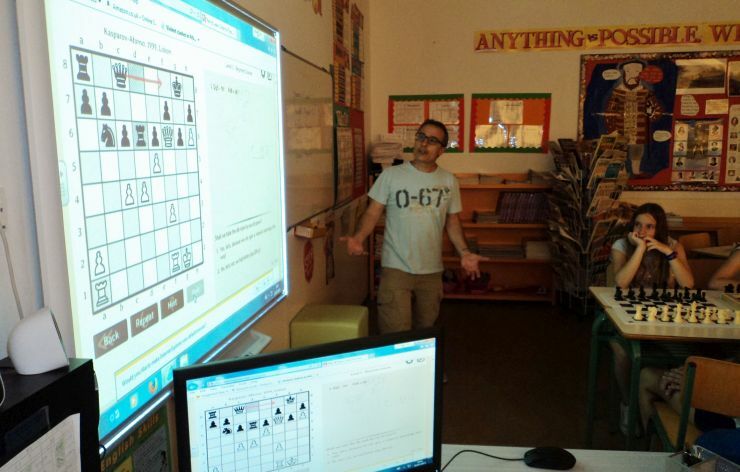 The site is ideal for teachers like myself who are not expert chess players themselves but enjoy the game and would like to help students learn to play and enjoy the game of chess, a game whose cognitive benefits have been well-documented. A huge thank you to everyone at LearningChess.net for all of their help and support! The article and the pictures were published with the permission of St. Lawrence College.